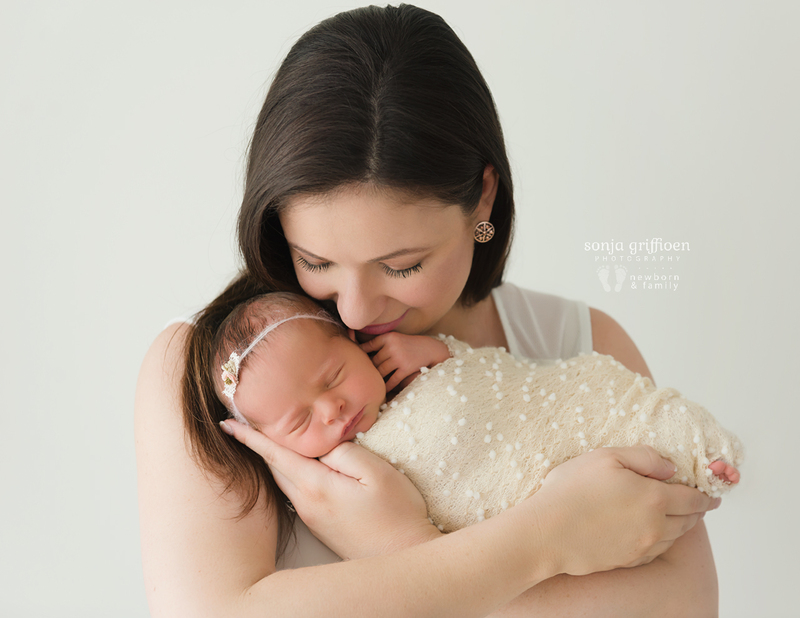 Sarah first came to me for her maternity session which was both simple and a beautiful way to document her pregnancy. 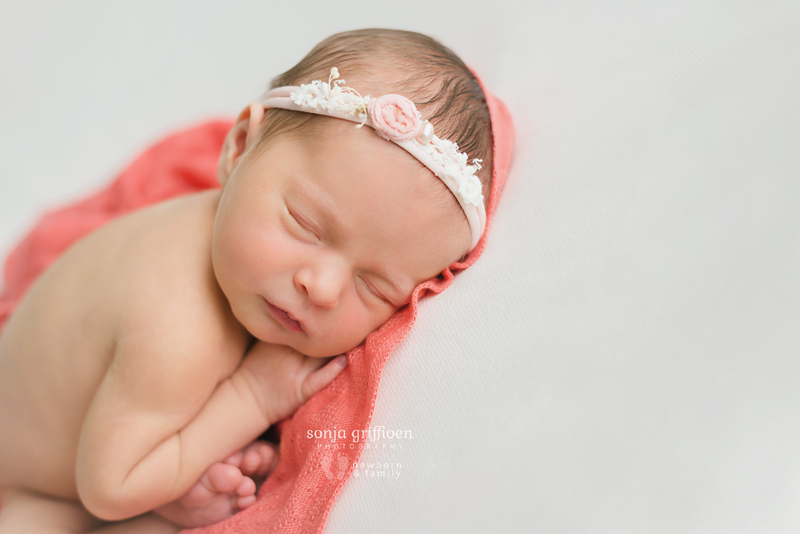 See her session here. 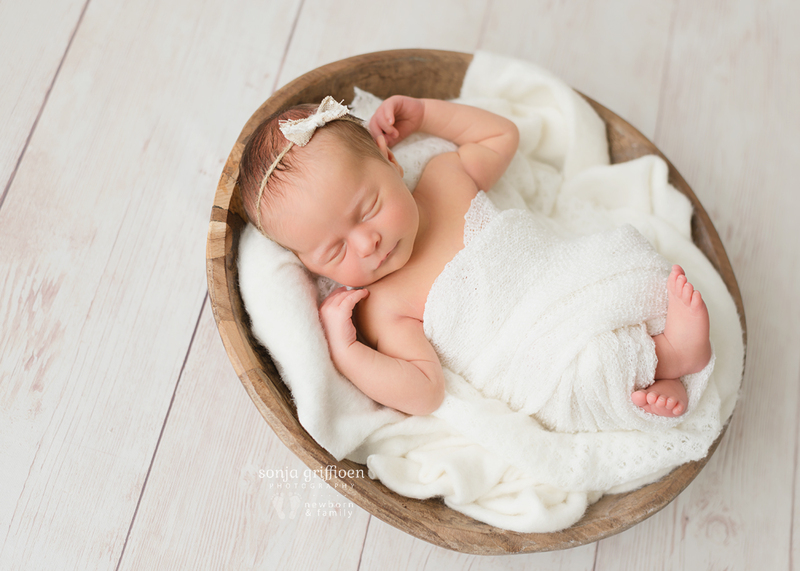 Lara was only 7 days new, one of my favourite ages to photograph! 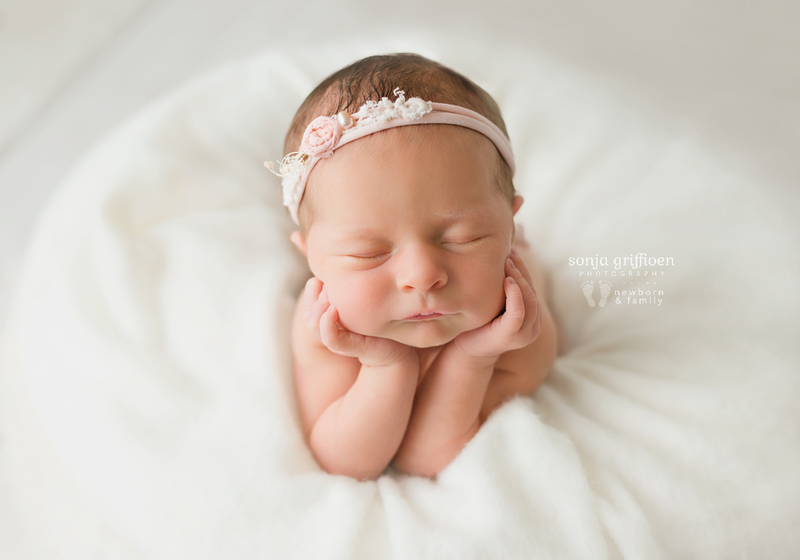 That first week after birth these new babies are so tiny, each little detail brand new and so delicate. 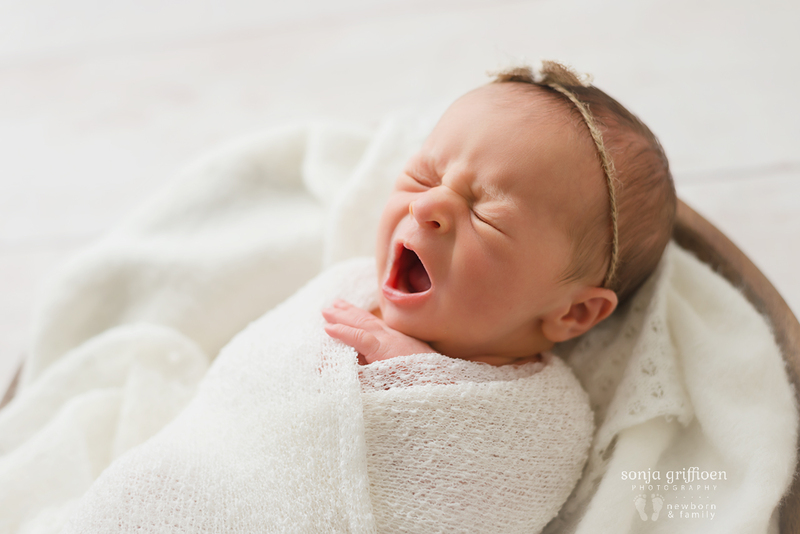 They are often still learning to feed and their sleep routines aren’t settled yet but they sleep much of the day. 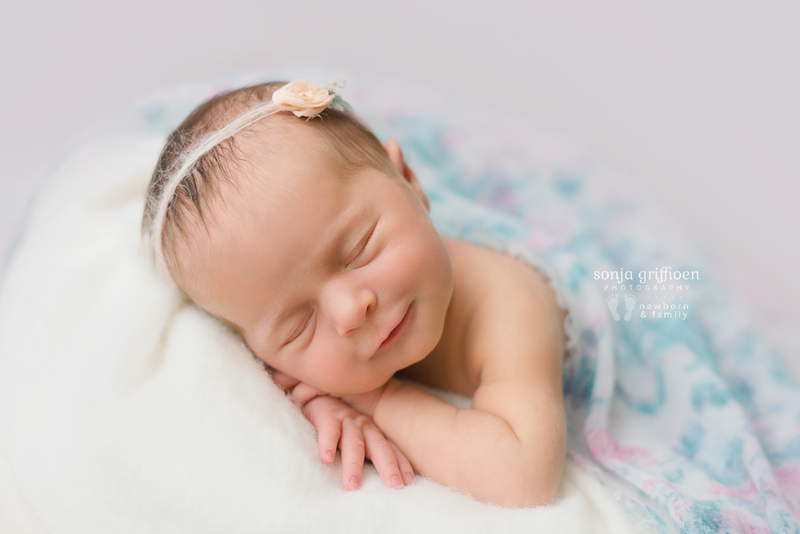 Not only are her parents absolutely smitten with her, but Lara gave me adorable smiles and melted my heart when I turned her on her tummy for tummy poses! 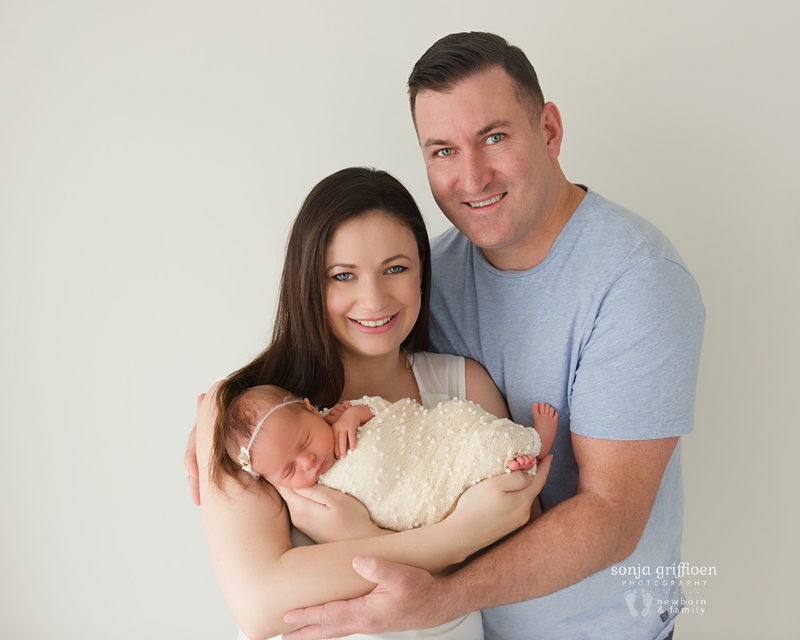 She is just gorgeous, Sarah and Liam! 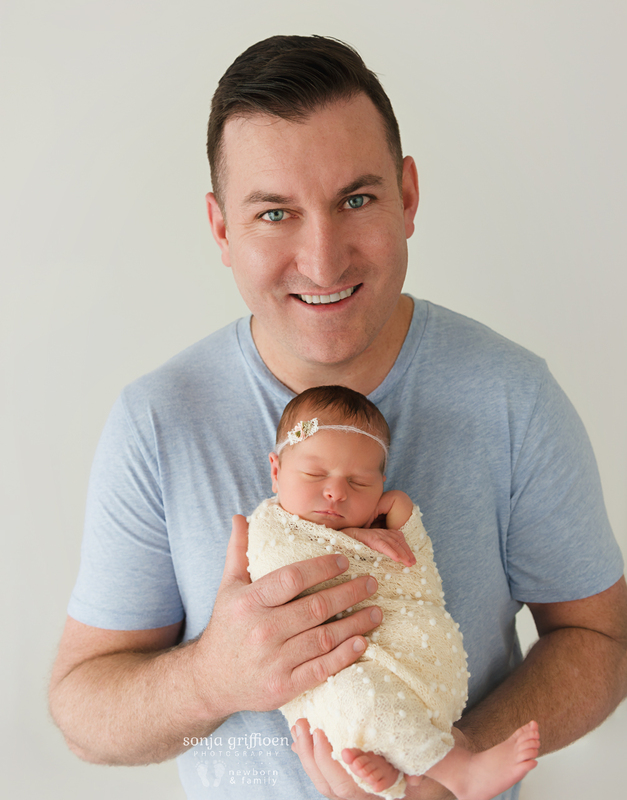 Thank you for bringing her to me and sharing her with me for a few hours. 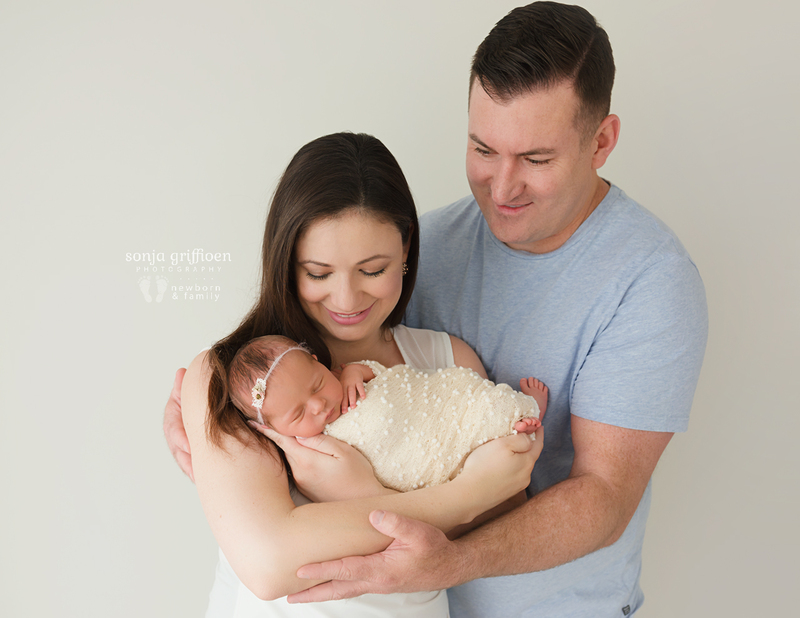 I wish you both the best journey as parents, with so much joy and enjoyment from your sweet little girl! 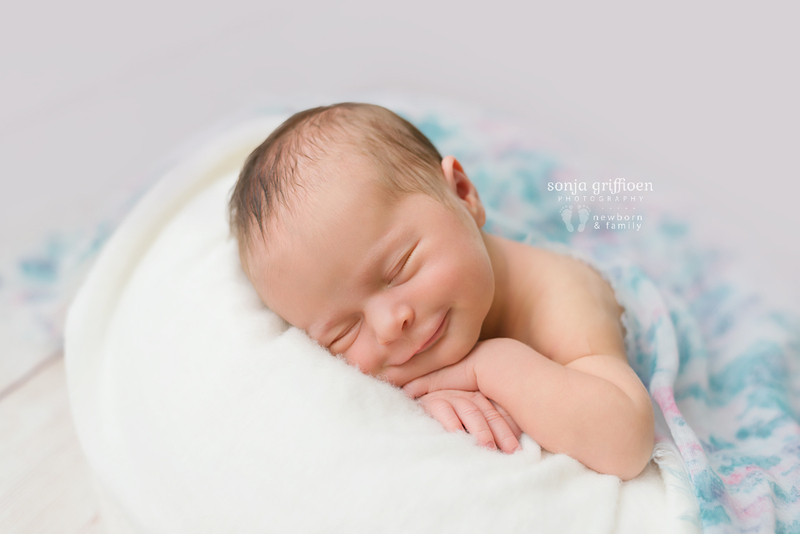 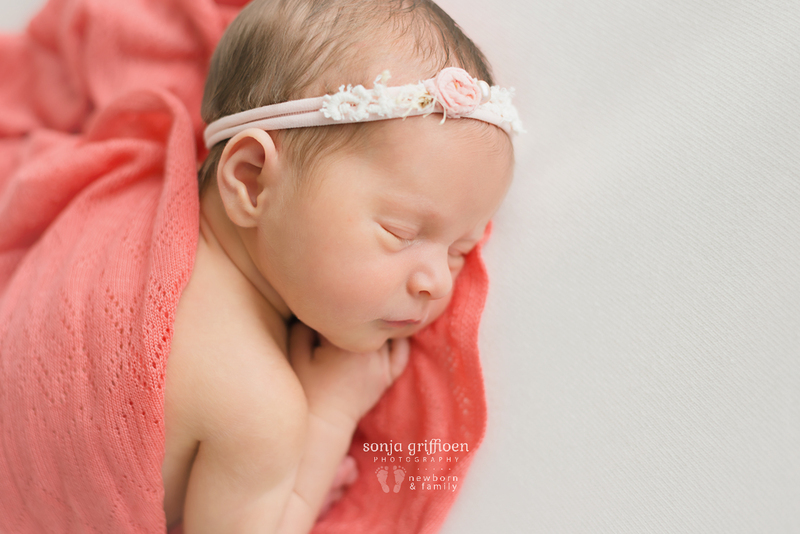 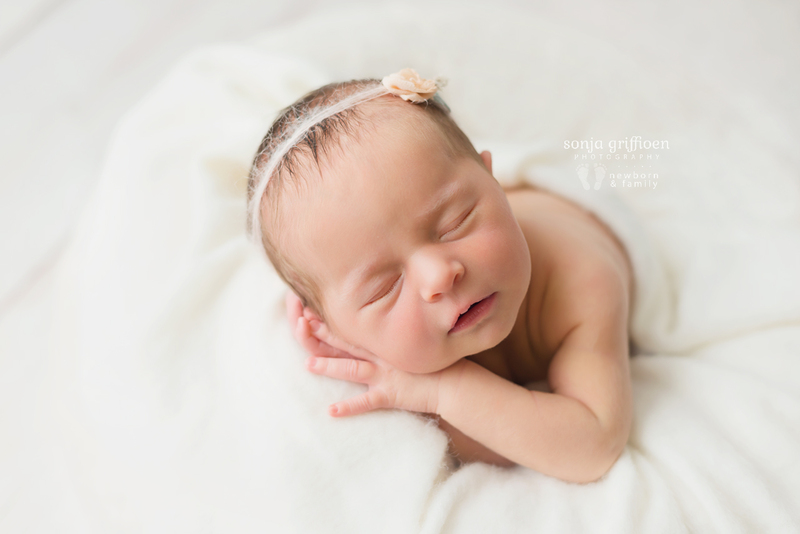 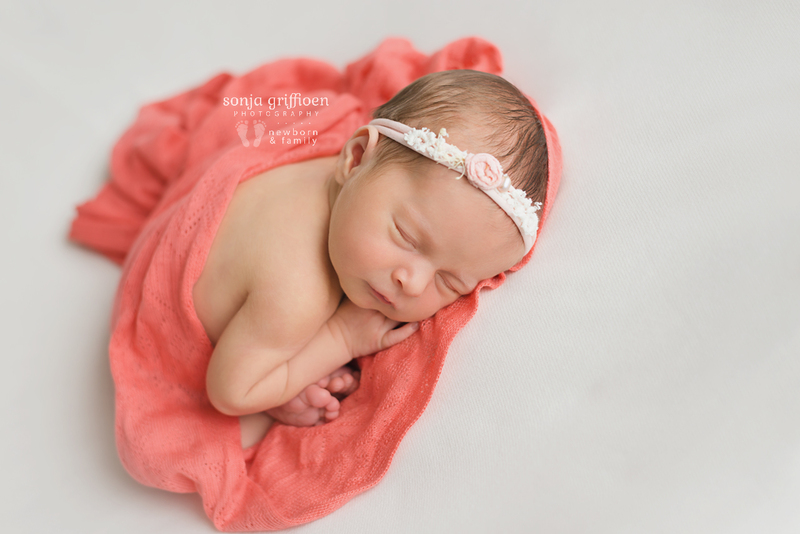 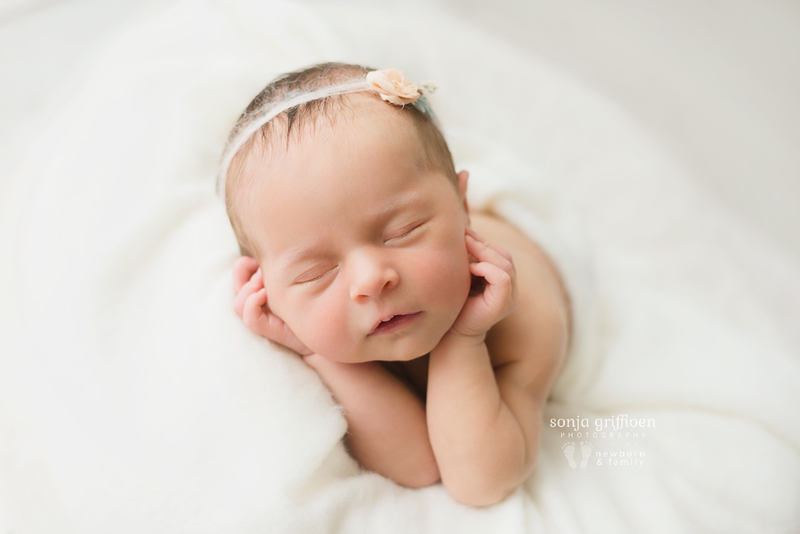 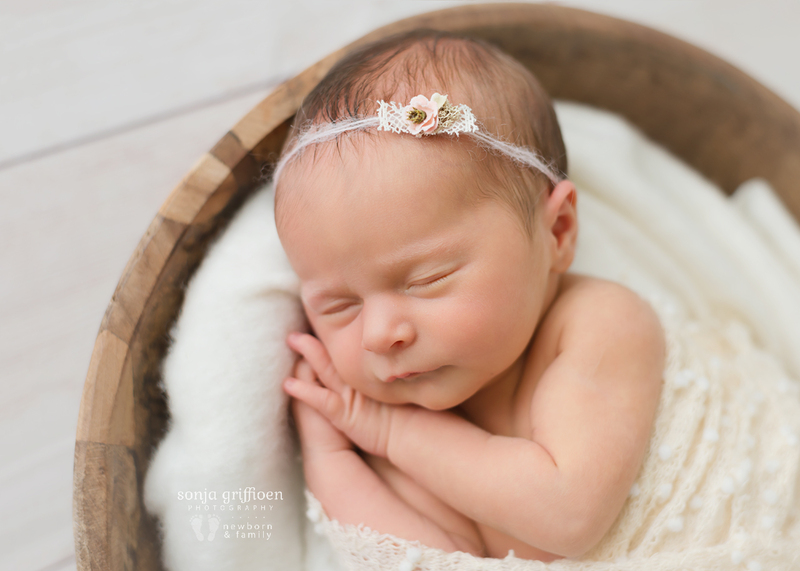 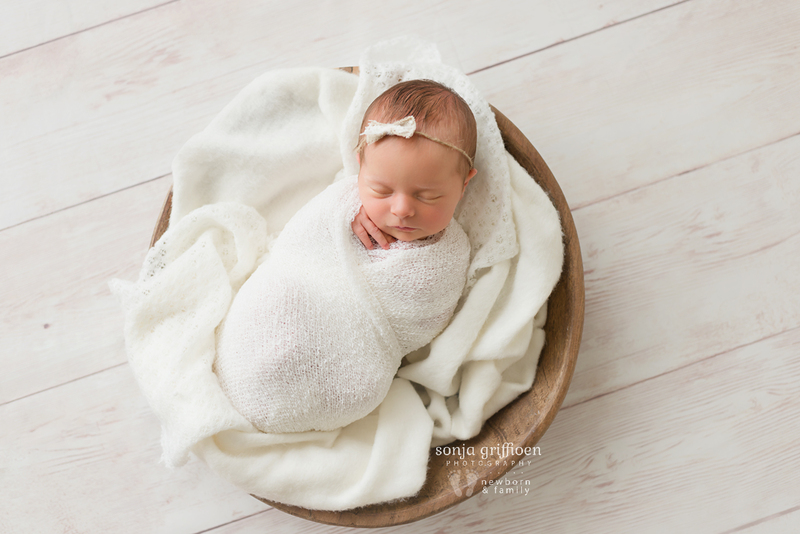 “Sonja has a God given talent when it comes to newborn photography.Her calm caring nature is just one of the many factors that contribute to a relaxed and enjoyable session. 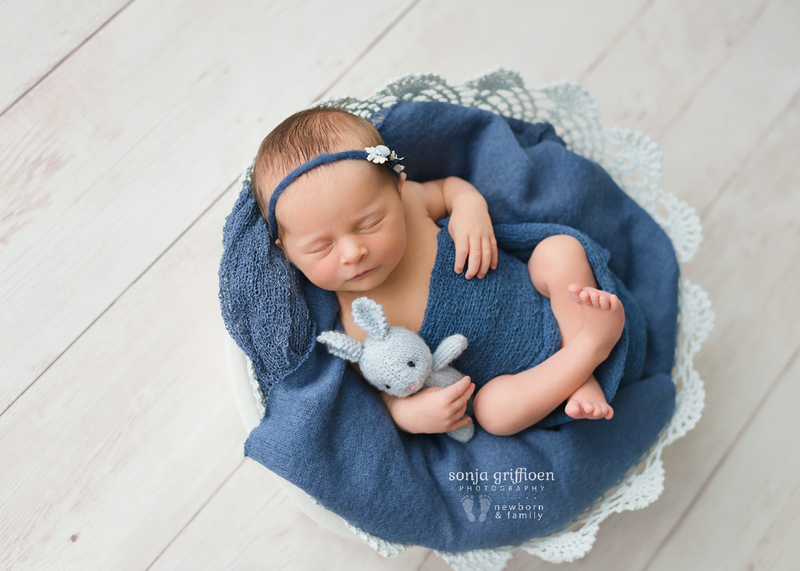 One would never know that Sonja is not yet a mother herself, she expertly settles and handles the tiniest of babies and makes it look so effortless. 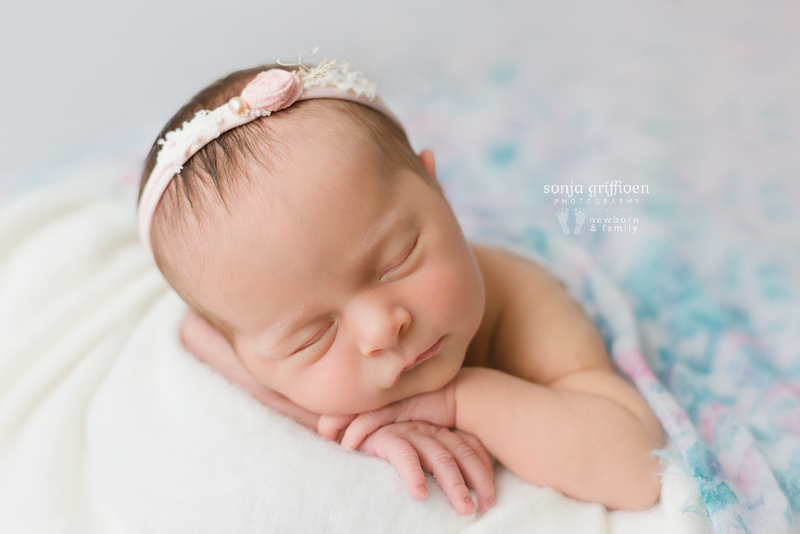 When Sonja showed me our twins’ newborn photos I could not believe those were my babies- she is a true artist!